There is an interview with Reza Aslan where he really does address details of his argument in Zealot: The Life and Times of Jesus of Nazareth more than his “suspect motives as a Muslim” as we heard in the Fox interview. There is some discussion of his background, too, but not in the Fox manner. Aslan is visiting Australia at the moment so that’s the occasion. I find his thesis problematic at several points but at least here he is given a chance to explain his argument and a little about his own background. RN: Late Night Live, Was Jesus of Nazareth a Zealot? Posted on 2014-05-20 21:30:04 GMT+0000 by Neil Godfrey. This entry was posted in Biblical Studies and tagged Aslan: Zealot, Reza Aslan. Bookmark the permalink. Daniel Schwartz, in his book, Studies in the Jewish Background of Christianity, has a chapter called: Christian Study of the Zealots. In that chapter (pages 128-146) he goes over the academic study of the Zealots. it is possible that recognition of this will allow for correction. upon debates of the future. which affirms the world as a positive arena for Christian life and action”. Methinks the ahistoricists/mythists should not give cold shoulder to Reza Aslan treatment of Jesus as a zealot – ie because there was no historical Jesus (of whatever variety is conceived by its proponents) therefore, there is nothing to gain from considering what Aslan is saying. If the gospel JC is a composite literary figure, then, how that figure has been created should be of interest, in and of itself. A zealot characteristic of that composite gospel JC can be discerned – hence needs to be addressed by the ahistoricists/mythicists. It is often suggested by scholars that historical Jesus, if he existed at all, was simply a normal Jewish believer. Or perhaps a zealot. And that his idea of a coming “kingdom of God” or heaven would involve a truly Jewish king kicking out Greek and Roman occupiers. A Jewish king once again heading Jerusalem, as a truly Jewish state. It is also often suggested in scholarship that however, this model was inconvenient for the Roman rulers of Jerusalem. Who therefore metaphoricalized the kingdom in a way convenient to their own rule. Turning all that into an allegory of eschewing all physical material power and wealth. In order to serve an ideal Lord in the sky. While “obeying your masters” and governors here on earth. As Paul commanded everyone. Much of scholarship would accept that at least this side of Christianity, this rather Pauline Romanization or idealizing Platonization of Judaism, was an a-historical fiction. So that even “historicists” are at least half-mythicists. 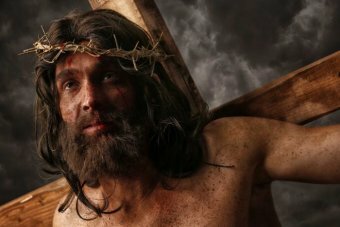 Was there ever a real, historical zealot Jesus out there? We know there had been many Jewish zealots, from Moses to Judas Maccabees, and on. Many more were executed by the Romans around 4 BC, in popular rebellions against Roman rule. Especially when the Romans put the Roman eagle on the temple. Possibly “Jesus” is a composite, or the popular distillation, of the perennial hope of a hero that would guide Jews to a Jewish kingdom. Why the name “Jesus”? It is not necessarily from a real person. The very word seems to mean savior of his people, or servant of God. There had been many “Jesuses” in the area. Including say Jesus, son of Sirach. Though Sirach’s message was rather more accommodating to Roman ideas it would seem. 2 antagonism is almost a function of the way Christianity developed…….”an inferiority complex” may characterize it with regard to Judaism. Families. Once 2 is recognised , pernicious conservative apologism Christian, which usually ignores its Judaic ancestry in any shape that might tend to proper acknowlegment of such ancestry or the still still anti semitic attitudes esp. protestant [ scholastic and popular, eg. Baptist preaching on end times ] can be more easily disavowed. This is an interesting viewpoint, the idea of Jesus being a zealot. So he’d really be Judas the Galilean. Been over this point a couple of times months ago, so I won’t rehash the point. However, anything that merges Judas the Galilean’s bio into anything to do with a “Jesus” still makes the idea of a living, breathing, historical Jesus a second-century fiction. And Acts 5 still looks an interesting read when anachronistically a rabbi who was dead when one of the men he talked about was active said that Judas the Galilean was a failure and his followers dispersed. Which in turn shows how late Acts was written. For that statement about Judas the Galilean to be there…it’d have to be well after 70a.d. and perhaps at least another 30-70 years after 70a.d., putting it well out of the reach of “Luke’s” expected lifespan. The evidence is at least there that people can come to the same conclusion as Reza Aslan independently of him. It’s simply a matter of recognizing there cannot be two Galilean rabbis starting the ONLY new stream of Judaism native to the first century at EXACTLY the same time. “This is an interesting viewpoint, the idea of Jesus being a zealot. Afraid not! There is no evidence that Judas the Galilean was anything but a figment of the Josephan mind. Josephus was as able to make stuff up as was any gospel writer. He has not been named a prophetic historian for nothing. Josephus wrote history alongside prophetic history – pseudo-history. Dating aside, identifying a zealot characteristic of the gospel Jesus does nothing for supporting the premise that the gospel Jesus (of whatever variety) was a historical figure – Reza Aslan notwithstanding…. ;-) All Aslan has done is recognize the zealot characteristics of a literary composite Jesus figure. A characteristic that the ahistoricist/mythicists should be willing to consider. The gospel JC figure was not simply created out of OT interpretations, midrash and mythological elements – historical events (as Reza Aslan repeatedly says) were part and parcel of the lives of Jews. Politics and theology were never far apart. After all, Israel was a Theocracy! That means from 14 c.e. to around 36/37 c.e. all was quite re zealots in Judea. Years in which, it is assumed, the gospel story is set. But Luke 3:1 does not support such an assumption. Lysanias ruler of Abilene did not rule in the 15th year of Tiberius. Lysanias of Abilene ruled in 40 b.c.e. That is the historical time frame that is relevant to the Lukan writer. It’s not Lysanias that is the focus of the Lukan writer but the historical time frame that began in 40 b.c.e. That is the year in which Jerusalem was recaptured by the last Hasmonean Jewish King, Antigonus I. A Jewish King that was executed by the Rome, Marc Antony, in 37 b.c.e. Why play around with the figure of Judas the Galilean, a figure that cannot be historically verified, when the historical facts regarding the executed King of the Jews is plainly in view? You underestimate the accuracy or usefulness of Josephus. Anyone who reads him can see a lot more logic and discipline in his writing than in most contemporaries. To be sure, Josephus is often questioned in the context of postmodern hypercriticism. Likely though he is about the most accurate early source that we have. He was Roman-trained. And his style seems quite objective. And his existence can be cross-referenced with Roman sources. No doubt Josephus reported a few myths to be sure. Some say he reported the notion of a Jesus regarded as a Christ. However he did not specify that this popular notion of a Jesus Christ was accurate. Only that some thought of him that way. Here he does not turn myth into history therefore. Would you care to get specific on this statement? In what way did I “underestimate the accuracy or usefulness of Josephus”? This is today a popular position. But it contrasts with some literature on Josephus. Including apparently some corroborating the testimony from Josephus, in his own time. These are just two sources on the accuracy of Josephus taken at random. If you want more, a simple literature search will turn up more. Today it is fashionable to put down Josephus. However, he remains perhaps the most valuable non-biblical source we have from his time. There is nothing in what you wrote above that supports your earlier statement that I “underestimate the accuracy or usefulness of Josephus”. You have not been able to show that what I wrote above re the Josephan figure of Judas the Galilean is wrong. i.e. you have not been able to demonstrate that this Josephan figure was a historical figure. One has to specific – one can’t give Josephus a blank check. Yes, of course there are accounts in Josephus that can be historically verified. There are other accounts in Josephus that cannot be historically verified. Yes, of course Josephus is valuable – for the stuff he made up as well as his historical data. I certainly don’t put Josephus ‘down’. On the contrary I accept that writer for what he was – a writer wearing two hats – that of historian and that of prophetic historian. In regard to Josephus as a prophetic historian, I already quoted from: Dreams and Dream Reports in the Writing of Josephus, A Traditio-Historical Analysis:Robert Karl Gnuse. Below is another quote from an academic book. If I may drop in a comment here . . . . I think we have good grounds for believing that Josephus was drawing upon his knowledge of real persons and events to deliver his “prophetic” or theological message/”history”. We can’t always be sure if some persons or incidents are manufactured in someone’s mind. But we can use certain tests. If a narrative has clear affinities with other fictional material and serves an evident literary/theological function in Josephus then we are entitled to doubt the historicity of his report. The reasons for accepting Judas the Galilean as historical are stronger than the reasons to doubt, at least until we find that Josephus used a fictional source for this character. That does not mean that the story we read in Josephus is an accurate representation of “what really happened”. Ancient historians were primarily interested in writing morality tales and gripping dramatic scenarios, and Josephus, like Herodotus and the author of Genesis-2 Kings, was also writing a theological (prophetic) message. When dealing with writings by Jews of this era we need to keep in mind that though many Jews claimed total loyalty to traditional Judaism, there were hundreds of thousands of “Hellenistic Jews.” Who were partially Jewish, but also heavily influenced by Greek and Roman civilization. Jerusalem had been conquered by Alex the Great around 300 BC. Then it was taken over by Rome around 63 BC. Alexandria Egypt especially had a very very large community of very Hellenized Jews. While Jerusalem itself was run by a Roman governor, Pontius Pilate. Except for brief periods like the Maccabees’ revolt, the local Hebrew leader was almost inevitably a collaborator with Roman rule, and Roman culture. Though Josephus himself might at times claim to be fully Jewish therefore, or to be a prophet, the sincerity of that claim is indeed suspect. In fact not just his history but also the style of his writing, clearly seems very, very Greco-Roman, and rational overall. Not as religious or “prophetic” as all that. Did I confuse John with you re the interest in Judas the Galilean as the founding inspiration for the Jesus figure? Much more beneficial, for seeking early christian origins, is to go straight to the source of both literary figures – Hasmonean history; Hasmonean history as far as it can be known. No, I was attempting to address George. Gnuse’s views on Josephus are interesting, but probably just his own opinion. In the meatime, Josephus was still the best record we had of those times, even though I’d have to wonder about the Christian Hegesippus’ own twist on the Josephus theme. However, we have four known major streams of Judaism in the first century. Only one is native to the first century, the zealot movement. They have a known leader and he is reported by Josephus four or five times. He is known to be around the Gaulonitis (Golan)/Galilee region. Basically a Galilean rabbi. His stream is, to Josephus’ knowledge, the ONLY one known to have been founded at that particular moment of time, with Pharisees, Sadducees and Essenes known to have originated hundreds of years earlier. I’m not debating that the MYTHICAL Jesus, the God/Angel version, was first. In fact, if we think of the name Izu Chrestos, we’re talking totally fictional/mythical/allegorical…before we even have a birth-narrative or even a human back-story. …so all I’ve suggested is that Judas the Galilean was one of the people the composite backstory was swiped from. NOT that he was Jesus. Because I’m still looking at a development that might have been more originating with Essenes or Samaritans and/or Alexandrians which became Gnosticism and which was STILL prior to anything proto-Catholic/proto-Orthodox. The myth looks to have come before a human backstory. So I find Acts 5 quite an ironical little notation in all this. And I find Acts a late writing too late to have been written by anyone named Luke…just written by someone who’d been reading Josephus and picked one item about Judas the Galilean direct from a section of Josephus. If one wants to understand how early christianity came about; if one wants a historical connection for the gospel Jesus story, ie. that the gospel writers did not simply draw the story out of their imagination; that the gospel story has some relevance for this world, then one can’t start from anything but actual Jewish history. History that can be verified to have happened. You can’t do that with the Josephan figure of Judas the Galilean. Outside of the NT and Josephus there is no evidence for such a figure. Its often said, in connection with the gospel story, that it contains anachronisms, ie something misplaced, out of place, in a specific context. While it may well be that zealots were active in 6 c.e. re a tax issue, it does not follow that there was a Judas the Galilean at that time. Why? Because of the 6 c.e. dating and the fact that this year is about 70 years from the historical events of 63 b.c.e. Aristobulus and his sons Alexander and Antigonus were captured in 63 BC. Marc Antony had been commander of the cavalry under Gabinius, consul of the Roman province of Syria. Marc Antony was the man who scaled Aristobulus’ fortification and subdued his forces with several men. This is the point that Aristobulus II and his son were taken prisoner. However, Aristobulus II escaped in 57 BC. Aristobulus was on his way to Judaea with his son Alexander, in 49 BC when “he was taken off by poison given him by those of Pompey’s party”. His son Alexander was beheaded by the Roman commander Scipio at Antioch. His son Antigonus led a rebellion against Rome, with help from the Parthians, and became king and high priest in 40 BC, but was defeated and killed by the Romans in 37 BC. Aristobulus and his two sons, Alexander and Antigonus, are the historical background to the Josephan story of Judas the Galilean and his two sons, James and Simon. Josephus has simply replayed the historical tape of 63 b.c.e. 70 years later. And if this is so, and I think it is so, then Josephus is actually stating just who those zealots are: The zealots are not simply anti-Roman and anti-Herodian – the zealots are pro-Hasmoneans – the Josephan ‘forth sect’. And, if the literary, composite, gospel figure of Jesus has zealot characteristics – then Hasmonean/Jewish history was important, was fundamental, to the writers of that gospel story. The general gist is, I tend to think there would have been more reality to Judas the Galilean than there was to Jesus of Nazareth. Jesus of Nazareth had to be invented. Because Judas the Galilean created the only new major stream of Judaism in the first century and he was still, especially according to Acts 5, a failure. Ipso facto, Christianity as founded by a Galilean Rabbi only that century cannot exist at the same time as Judas the Galilean and zealotry can’t be Christianity. Unfortunately, we still have to look more to Gnostics as the first Christians/Chrestians. Hard to have to admit it. The reality behind the Josephan story of Judas the Galilean is the historical figure of Aristobulus II and his two sons Alexander and Antigonus II. See above post. Deriving history from Acts is an enterprise fraught with difficulty. I firmly maintain that Luke the Historian has very little to wear and have striven to demonstrate the point, but I shall not close without acknowledging my admiration (and even envy) for the splendid outfit worn by Luke the author. In that costume lurk mysteries galore, and because of it the story of Christian origins is more mysterious than ever. Interestingly… Judas had two sons who were crucified. Their names were James and Simon. That cannot help but register with anyone who knows the Gospels and reads Josephus for the first time. But we are quickly assured that these were all very common names so we should not think anything of it. And in the absence of a cogent alternative explanation we let it slide. But then we read of the Jesus who was the “mad prophet” during the siege, and then the way the siege became almost synonymous with crucifixions. So the coincidence never quite fades completely from view. Curious, isn’t it. It seems, too, that based on Acts 5:37, “Luke” at least was familiar with the very passage in Josephus that mentions James and Simon. It’s frustrating, though, that so many (real or fictional) persons of that era in Palestine had the same given names as each other. Judas, James, Simon … these are all very common, right? a) Shouldn’t we, then, be extra interested when two characters in the New Testament share a name that isn’t very common? That seems to be the case with Cephas and Caiaphas. b) Among the very popular names of that day and age: Judas, Simon, James, John, Joseph, Jesus. But isn’t it striking that the New Testament mentions many Judases, several Simons, several Jameses, several Johns, some Josephs, and very few different Jesuses? This very stuff might even be the real origin of many Christian myths. Regarding “Jesus” though? A published survey of Jewish names in the Jerusalem tombs, as I recall, cited by James Tabor, suggested that about 6% of Jewish males were named Jesus in about this timeframe. This becomes especially interesting when we are told in Josephus’ Antiquities that in the Syrian/Roman aid of Roman-collaborator Archelaus’ administration 4 BC, 2,000 rebellious Jews were crucified. If the name “Jesus” amounted to 6%, then 120 Jesuses were crucified 4 BC (Josephus Antiquities Vol. 7? Sec. 32: http://virtualreligion.net/iho/uprising.html. Possibly this played a major part in the origin of the tales of an heroic crucified Jesus. Since here we have 120 of them. Dying to save their country from foreign (Roman) occupiers. It may be therefore that legends of Jesus had an historic root. But it was a root that was not at all what has been claimed. From this perspective the origin of Christianity appears to be not just from myth, but also ancient but garbled history. Perhaps when accounts of the “Lord” were gathered from the people, in any oral history, their understandings were confused. Today however we can begin to see whatever facts there were behind all the confused legends that made up the NT. I always have to wonder about how the name Jesus (Joshua/Yeshua) basically means “deliverer” or “rescuer” or “savior”. It really seems quite a bit strange that the one guy who started THE religious movement around the Messiah that stuck was actually named “Savior”, doesn’t it? Right. Possibly a coincidence but also potentially suggestive of a literary origin. The latter certainly fits in with Parvus and Widowfield’s speculative (unattested) hypothesis on the original Passion narrative in the Ascension of Isaiah. I once wondered if Peter and Cephas were the same person by the way Paul interchanges the names in Galatians. I posted the question on Richard Carrier’s blog and he said that both names were rare so it would be unlikely that both names were not just different languages for the same person. Ehrman gave the same answer in one of his books, too. I made an offhand remark that Cephas and Caiaphas could be the same person, then tried to disprove it but everything I learned reinforced the idea. Both names mean “rock”. Paul describes Cephas, James, and John as “pillars” of the Jerusalem community. Everything Paul says about Jesus can be found in the Old Testament, he claims his revelations come from the scriptures, he doesn’t think he knows less than the other apostles, and he uses the same word for “appeared to” for Cephas, James, the Twelve, and the five undred that he uses for himself, as if he doesn’t think their “appeared to” was any different than his own readings in scripture. If Cephas was the first to “discover” Jesus in the scriptures, he was certainly not an illiterate fisherman. My memory is vague on the details, but hasn’t Robert M. Price written something (somewhere) about similar and repetitive names in the Gospels having some possible theological/psychological function? Or I’d add: similar names probably caused much of the confusion of many different myths, many different historical figures, into one “Jesus” tale. There were many “Jesuses” and “Joshuas” for example. So it was easy for the folks to get the mistaken idea that they were the same, single person. (See also “Judas,” “Matthew,” “Simon,” and so forth). Consider especially the moment when churches went around looking for local oral traditions of “The Lord.” Here the ambiguity of the term “The Lord,” the many legends about various different “Lords,” probably caused conflation/accretion of many different lords, into one. It is sometimes claimed that the notion that the biblical Jesus was a “composite,” would be unlikely. Since no one could have so cleverly interwoven so many different traditions and persons, into one. However, 1) many Greco-Roman writers were capable of that. While 2) popular confusions, conflations, would have done that fairly naturally. When asked about the great Jewish “Lord,” everyone had his own local past Lord to speak about. Most could not distinguish one from the other. By the way, I’ve only taken a quick look at that article. Do you know anything about A.A.M. van der Hoeven? Is he someone that you take seriously? No, I only pointed to it as another instance where there is an argument presented for identifying Caiaphas and Cephas. No other reason. No endorsement. I wonder if there is significance in Mark not using the name Caiaphas while John uses it often — given the so many other inverted ties between the two gospels. The word “Cephas” is often read to mean “head” or boulder. It was said by some Catholics to refer to Peter as the Head of the early church. (See “Peter” or “Petre,” also meaning rock? See also biblical references to Peter as a “rock,” and to other leaders as cornerstones to the church). Protestants fought this linkage. But it remains viable. One thing about Judas the Galilean is…he got half a dozen mentions in Josephus…but I’m not really going to consider him Jesus. I have to consider him a failed candidate as any sort of messianic claimant anyway. Worse…with the later proto-Orthodoxy, his name was effectively rendered mud if we consider Judas Iscariot a propaganda device to further negate the influence of the zealots and their founder. Straight detective work shows that as Judas founded the zealots, there was NO “historical” or birth-narrative Jesus in the first century. Only ONE of four known factions of Judaism started specifically in the 1st century…Christianity as we’ve been told it and the Zealots cannot coexist at the same time, then. Because the zealots had the only Galilean rabbi founding that one single NEW stream of Judaism that century. But…sometime in the 2nd century, someone reading Josephus might have borrowed bits and pieces of Judas the Galilean’s biography to make up the “historical” Jesus. Then there’s Hegesipus, around 147a.d. using a variant of Jewish Wars as a basis for a document that creates a story of a Jerusalem church…and an apostolic list. But…there’s still Simon Magus to account for, the only “Gnostic”/heretic to himself claim his own mother was a virgin, who is also recorded by early church fathers as being considered the Father outside Judea, but the Son inside Judea. Since the Gnostics also incorporated the concept of Eight/Ogdoad into their idea of Jesus, I have to factor in that the Hebrew word for Eight is “Shmone” which is too close to the name Simon to be coincidental. Here again we have some factors that could be incorporated into a bio for a “historical” Jesus. Acts cannot be written that close to the first century, because Acts 5 is a clear swipe from a section of Josephus, even following Josephus’ particular mention in that section of Theudas before Judas. What’s known about the Bar Kochba revolt shows zealots were still around and their opinion to be considered…so the bit in Acts 5 about Judas’ followers being scattered can’t have happened before 135 a.d.
Acts wasn’t in the Marcionite original New Testament, either. Then there’s Polycarp. Should I call him Peregrinus Proteas? Once upon a time I used to think he was the sane one and Rome where all the changes occurred, but after looking at what was written about Peregrinus and considering it a hostile witness independent look at Polycarp (and even thinking Ignatius was just Polycarp/Peregrinus in an earlier phase) well, there went ANY thoughts that there was REALLY a disciple of Jesus named John. I tie Polycarp’s hatred of Marcion to the fact he might have been a rebel to the authority of Marcion/those of Mark/Alexandrian original church. Florinus being the better student of “Polycarp” than Irenaeus (from Irenaeus’ own testimony) also tells us “Polycarp” was effectively something similar to a Valentinian. I also find NOW that I’d have to consider the whole Gospel of John Gnostic…and I have to keep looking at John 8 in particular as giving us a HUGE clue that the “Jesus” in that was actually SIMON…because John 8 clearly shows “Jesus” NOT countering the accusation of being Samaritan. Other clues of Simon? “St.” Stephen. In Acts, he’s effectively giving an OT account that claims that Shechem was the place where Sarah was buried by Abraham, as opposed to Hebron. That ONLY can be if Stephen was going by a Samaritan view of things. The Samaritans DID think Sarah was buried at Shechem. “Historical” Jesus as a hodgepodge of combining bios of Judas the Galilean and Simon. But NOT the FIRST Jesus, because the first was really an allegory. The Gnostics really do seem to come FIRST, long before anything even remotely proto-Orthodox/proto-Catholic. An angel/God Jesus. One connected to the burning bush. The Logos. Connected to Plato’s Timeaus. Do I need to remind anyone Plato had a Son of God principle somewhere? And the only thing the rabbis were fighting just before the Bar Kochba revolt was a “two powers in Heaven concept. So what does that render the SECOND New testament after Irenaeus? Everything we consider the known story of a “historical” Jesus really comes more from Irenaeus’ time. Everyone in the early second century was writing fantasy/allegory/false history. They were the comic industry of their day and they were writing that time’s equivalent of Superman. The lead-up to this view was 27 years of solid reading and working out, but NOT making the conclusion. The conclusion was only reached the past year and a half, taking a good hard look at whether Jesus could be independently-verified. And the answer to that is he can’t be. I’ll still go for an Essene/Alexandria/Samaritan axis as where a large part of this Jesus allegory started. I MAY factor the Judas the Galilean angle as something remotely/tangentally tied to an Ebionite/Jewish “Christian” faction in opposition to the Essene/Alexandrian/Samaritan axis. I spent most of the past 28 years still TRYING to hold on to the thought of a real Jesus in some way, till the last year and a half. Small wonder I think the Jews have it way easier NOT even having to worry about a “Jesus,” because it really makes belief in God SO much more simpler. Believing in ANY form of Jesus takes too many mental backflips. For me there seem to be not one or two, but dozens of cultural traditions that finally create “Jesus,” by accretion, conflation. You have outlined one major contributing tradition though: Judas the Galilean. For me that is just one piece in a 100-piece puzzle, though. There is a very large, general tradition of “Zealotry” in Judaism. Which includes tales of Judas the G – among dozens of other zealots. For that matter, there is a general notion of a Jewish god or “Lord” returning to at last defeat Israel’s enemies, and establish a triumphant Kingdom at last. For me, these two general traditions among many others, created the vivid climate of expectation, that would have caused many Jews to seize on any slight provocation. To proclaim that this or that person – or ideal image – was achieving the promised kingdom at last. “Superman” is a good analogy.